New York congressman Lee Zeldin has accused Democratic representative Ilhan Omar of “targeting Jewish people” in response to her criticism of senior presidential aide Stephen Miller. Citing unnamed sources, CNN and The Washington Post recently suggested Miller was behind President Donald Trump’s decision to change his nomination for director of the Immigration and Customs Enforcement (ICE) agency. “We’re going in a little different direction. [Acting director Ronald Vitiello is] a good man but we’re going in a tougher direction,” Trump told reporters at the White House, per CNN. Back in 2016, news of Miller’s nomination to the role senior advisor won praise from lobby group boss Richard Spencer. Spencer presides over the National Policy Institute, an organization designated as “white supremacists” by the Southern Poverty Law Center. Last June, a Boston Globe editorial described Miller as “the architect of family separation at the border.” In September, his childhood rabbi, Neil Comess-Daniels, slammed the senior policy advisor‘s record on immigration in a sermon. That same month, his uncle, David Glosser, called him an “immigration hypocrite,” in an op-ed for Politico. Omar has seen her own share of criticism in recent weeks. The congresswoman incited a backlash from top Democrats in February when she suggested the influence of a pro-Israel lobbying group in U.S. politics was “all about the Benjamins” in a tweet. 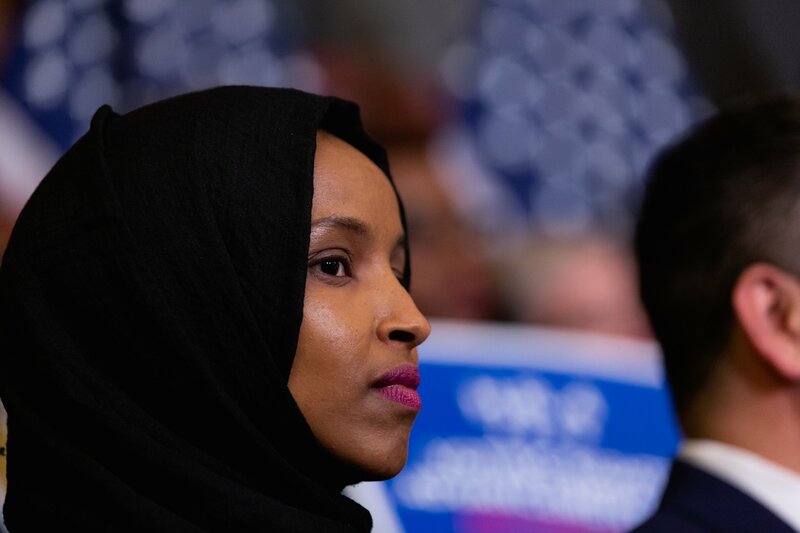 House Speaker Nancy Pelosi and others issued a statement calling out the representative for using “anti-Semitic tropes.” Omar apologized for the now-deleted Tweet. Zeldin has represented New York’s first congressional district since 2015. He narrowly beat Gershon and held on to his seat in November. His Democratic opponent recently told The Suffolk Times he was planning a 2020 rematch.